The report of Comptroller and Auditor General (CAG) was tabled in the Delhi Assembly by Deputy Chief Minister Manish Sisodia on Tuesday. 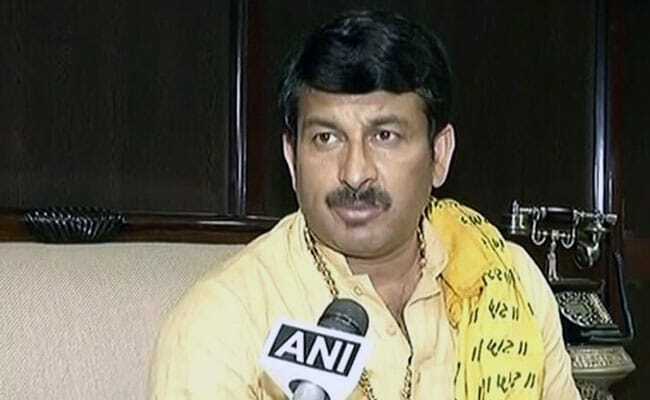 New Delhi: The CAG report has "exposed" the AAP government's claims regarding health and education sectors, and has established that the dispensation was "not paying attention" towards development of the national capital, Delhi BJP chief Manoj Tiwari said today. The report of Comptroller and Auditor General (CAG) was tabled in the Delhi Assembly by the Deputy Chief Minister and Finance minister Manish Sisodia on Tuesday. "The report has established the fact that the Arvind Kejriwal government is paying no attention towards development of the city and its tall claims on health and education are frivolous," Mr Tiwari said. The report has "confirmed" that health services are "not functioning properly" due to "lack" of equipment, pharmacists and other resources at health facilities, he claimed. "At the Cancer Institute, equipment are lying unused since 2015, but the Kejriwal government has no time to start it. The CAG has been critical of the working of Ayush and has said that the dispensaries are functioning in unsuitable, unhygienic places. There is callousness and bungling in purchase of Ayush medicines," Mr Tiwari said.